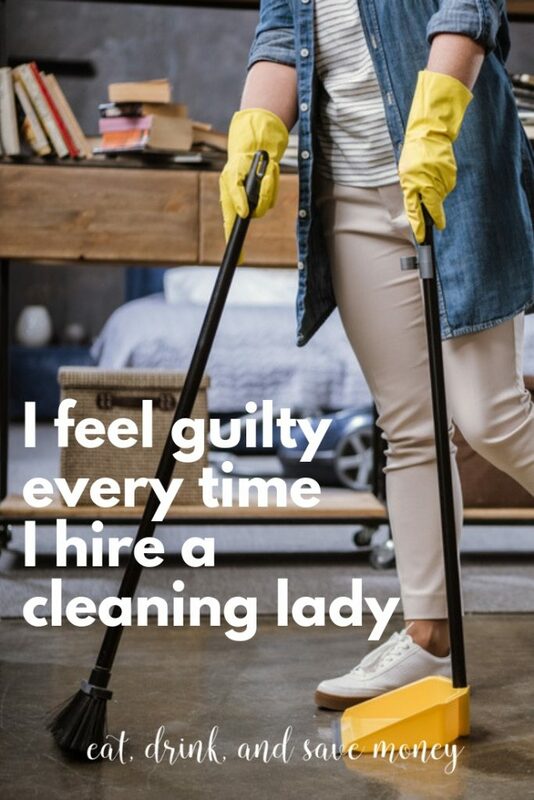 I’ve read all the articles and blog posts about why I shouldn’t feel guilty for hiring a cleaning lady. In fact, I feel like I could write that article myself. I know I shouldn’t feel guilty, but feelings are feelings, and if I’ve learned anything in life it’s to acknowledge and respect your feelings. 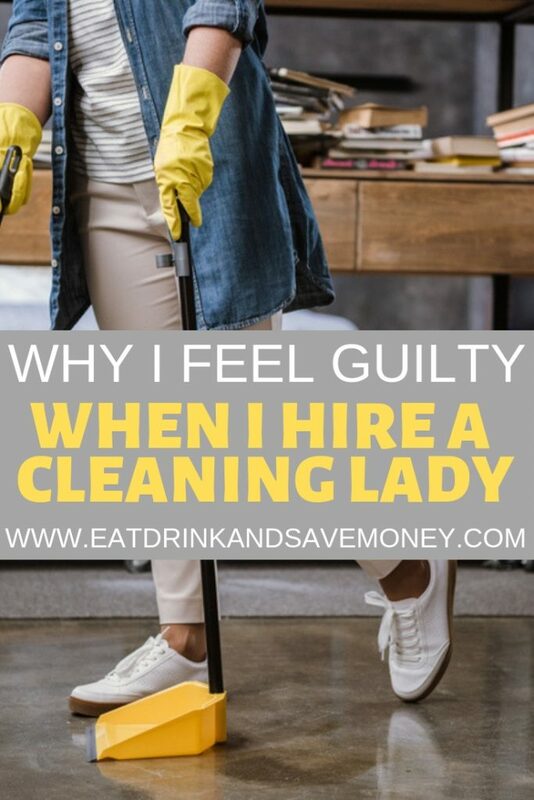 So here are all the reasons why I feel guilty every time I hire a cleaning lady. Does that even make sense? There are so many reasons why it is okay to hire help that I actually feel guilty for feeling guilty. I know that it’s okay to ask for, and receive help, especially in this crazy season of life. I know that time is money and I don’t actually have the time to clean my house. That doesn’t make me feel any better. I still feel guilty. Do you know what the going rate is for cleaning ladies where I live? The cheapest ones charge $25 an hour. An hour. Do you know how much I pay for VA (virtual assistance) and tech help? $25 an hour. For technical help that requires a lot of knowledge. I’m not saying that cleaning my house isn’t a lot of work, I’m just saying that someone isn’t charging right. Either I have a hell of a deal on VA and tech help, or I’m overpaying for cleaning. For the first 2 hours after having my house cleaned, I’m very sure that a cleaning lady is money well spent. Then a kid pees on the wall in the bathroom. Suddenly that money seems like a huge effing waste. If my house is going to smell like pee anyway, why did I just pay someone $125 (or more) to clean it? Those words always come out of my mouth, usually while the cleaning lady is still cleaning. I’m a clean person by nature. I don’t hire cleaning ladies because I don’t like it, I hire them because I literally do not have the time to clean my house. It kills me to pay to have my house cleaned when I know I could do a better job if I had the time. It’s not news to you that I’d rather save the money. I love saving money. I’m such a strange person who would rather live with less to put money in savings. I’d be happy living with dust in my knick-knack less house. Less stuff as a minimalist means less to clean. Even so, dust still finds it’s way into little dust bunny balls. Those dust bunny balls make their home under all the furniture. Once again, I’d be fine living this life but I feel bad subjecting the kids to it. How did I get to the point where I don’t have time to clean the house? I don’t put the kids in a ton of extracurricular activities. We aren’t out of the house all day. I still can’t figure out why I can’t find the time to scrub a toilet or dust under my furniture. Yes, taking care of mom during her cancer treatments has made it harder, but to be completely honest, I was having this issue even before mom moved in with us. I could drive myself crazy trying to figure out where all my time goes. I’m the type of person who actually enjoys turning on some music and cleaning. It invigorates me and makes me so happy. Before we had kids, I spent every Saturday afternoon cleaning. I also spent every Sunday afternoon engaging in Sunday Fundays. Life changes with kids. I miss the weekends full of so much free time that it never felt like a sacrifice to clean. These days I either feel guilty or resentful if I spend all day cleaning. I feel guilty if I miss out on family fun or resentful if I miss out on an opportunity to enjoy alone time. So. Many. Feelings. When it is all said and done, none of this matters. As a mom I’ll probably always feel guilty. I can’t win. 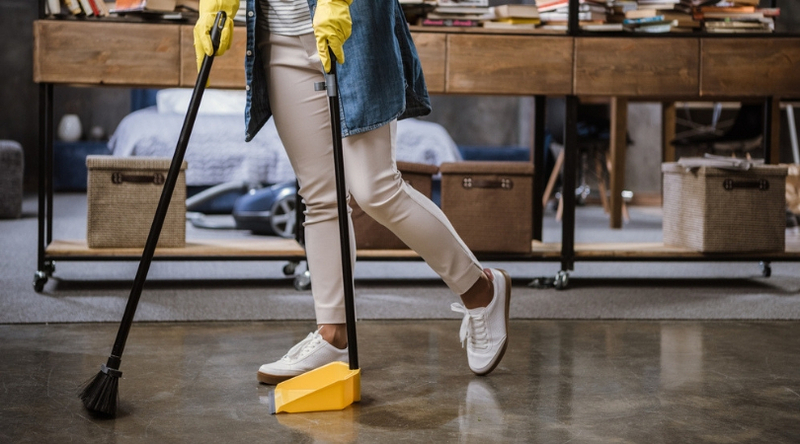 Either I feel guilty for paying someone to clean my house or I feel guilty for not keeping a clean house or I feel guilty for missing out on time with my family while I clean my house. See? I can’t win. Over the last couple of years I’ve hired cleaning ladies in spurts. I’ve used them when I really needed them then swear I will start cleaning my house again, only to not clean my house for months until I resort to hiring a cleaning lady again. I’m over it. I hired a cleaning lady to come twice a month and even though I hate myself just a little bit for doing it, I’m so unbelievable happy to know that I don’t have to chase dust bunnies around my house anymore. Now tell me, do you feel guilty when you hire a cleaning lady?